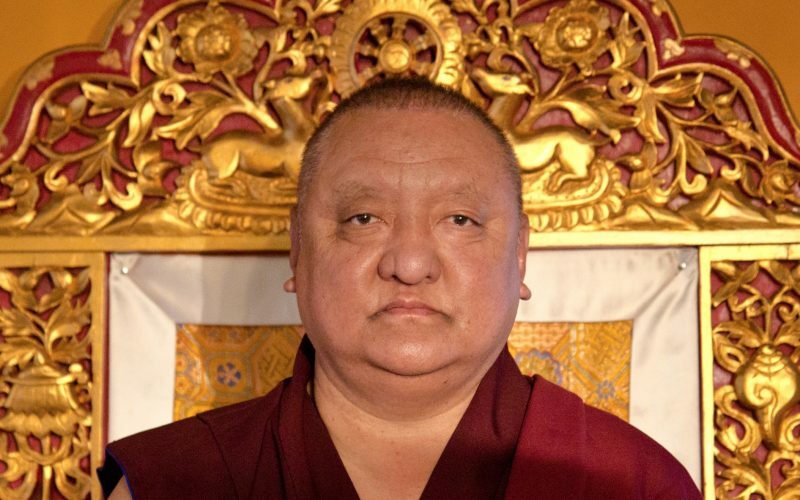 En av våra stora Mästare, Shamar Rinpoche, undervisade och besökte oss 2012. Bilderna från det besöket finns allra längst ned. 2014 gick han hastigt bort. Kremeringen i Nepal närvarades av flera från vår förening. 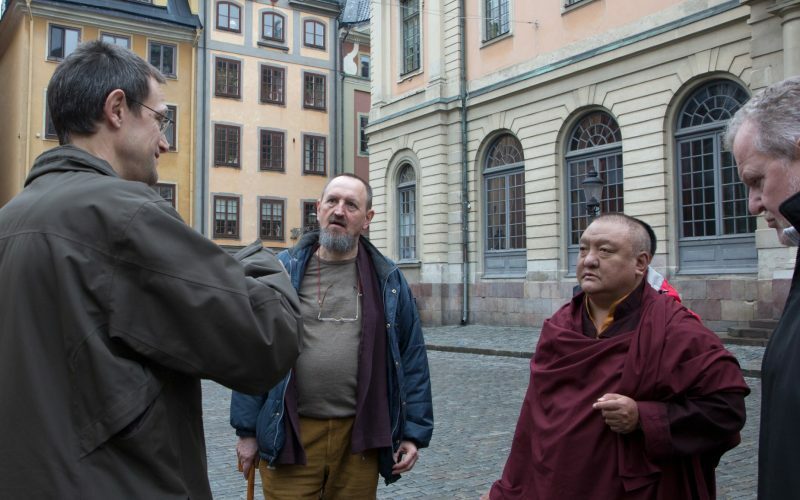 Shamar Rinpoche var en mästare, en lärare, en stark personlighet. Han lade av all titulatur och gillade inte att bli kallad H.H., han skrev flertalet böcker i ämnen från Buddhism, meditation till demokrati och ledarskap. 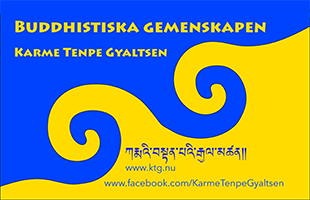 It is with a feeling of great sadness and loss that the Swedish Buddhist Community, Karme Tenpe Gyaltsen, founded by His Holiness the Sixteenth Karmapa in 1976, and the Hungarian Buddhist Community, Karma Ratna Dargye Ling, founded by Venerable Lama Ngawang in 1987, continues with Dharma activities after the passing of our beloved teacher, His Holiness Kunzig Shamar Rinpoche, one of the main lineage holders of the Karma Kagyu tradition. In the midst of our sadness we feel fortunate and blessed because of the close and profound connection that our Buddhist communities have with His Holiness Shamar Rinpoche. Both Venerable Lama Ngawang, our resident teacher from 1976 up to his passing in 2011, and his successor, Ven. Lama Tsultim Rinpoche, were born and raised in Yangpachen, where Shamar Rinpoche’s main Tibetan seat is situated. 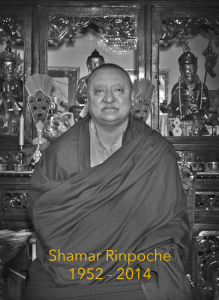 We therefore have a particularly close connection with Shamar Rinpoche and with his main monastery in Yangpachen. 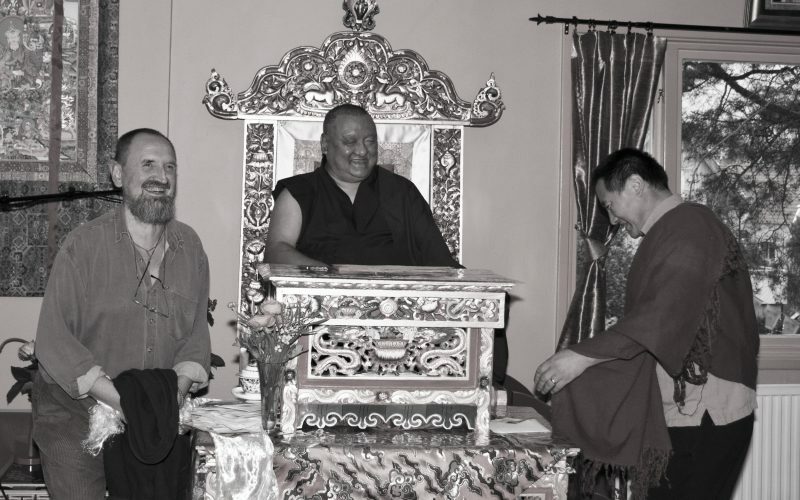 His Holiness Shamar Rinpoche visited our Community at Karma Shedrup Dargye Ling in Stockholm in 2012 and the visit was highly significant and important to all of us. 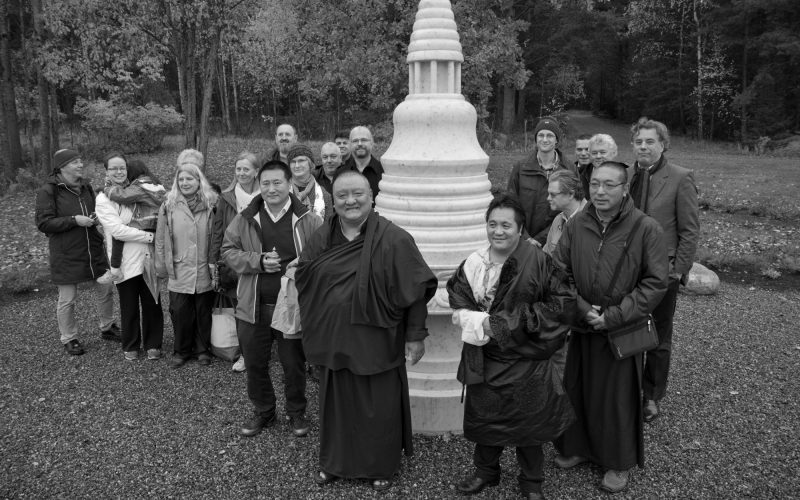 Just after His Holiness passed away he should have visited and given a new name – Europe Yangpachen – to the retreat center and new temple of Karma Ratna Dargye Ling, a large Buddhist Community in Hungary, with several affiliated centers. Because of impermanence, this auspicious event sadly never took place. When a group of representatives of Karma Ratna Dargye Ling paid their respect to the physical remains of Shamar Rinpoche at Karmapa International Buddhist Institute in Delhi, they requested His Holiness the Seventeenth Karmapa to visit Hungary and perform this activity, His Holiness answered that he will come, and this made us tremendously happy. We also wish and pray that H.H. 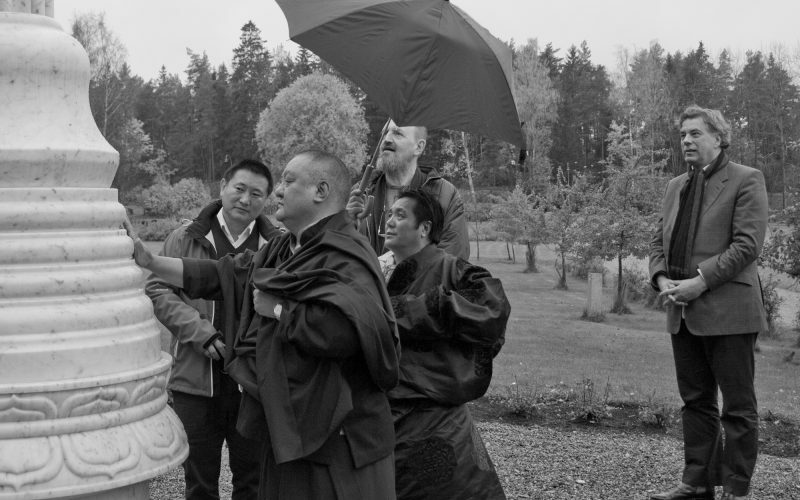 Karmapa will visit our Swedish Dharma Community in the near future. Ven. 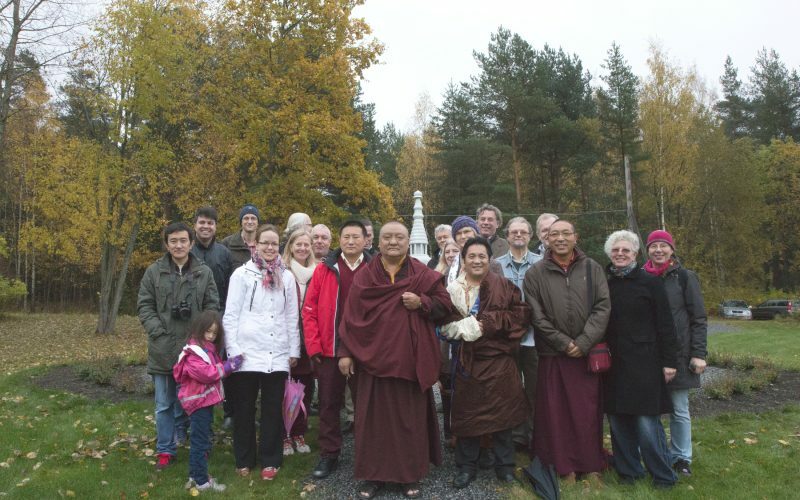 Lama Tsultim Rinpoche and some of the members of the Swedish Sangha were fortunate enough to participate in H.H. Shamar Rinpoche’s cremation ceremonies, in Shar Minub monastery in Nepal. Ven. Lama Tsultim Rinpoche and the other participants were deeply moved and also amazed to see the remarkable harmony, cooperation and kindness which permeated Shar Minub before, during, and after the day of the cremation. In Sweden we also held regular ceremonies and prayed for the swift return of H.H. Shamar Rinpoche, offered candles, and recited wishing prayers. These ceremonies took place, both at our center in Stockholm, Karma Shedrup Dargye Ling, and at our retreat center in Fellingsbro, Karma Dechen Ösel Ling. The ceremonies began the day when H.H. Shamar Rinpoche passed away, on June 11th, and continued up to his cremation on July 31st. In Hungary an Amitabha-retreat and eight sets of Nyungne were performed, dedicated to H.H. 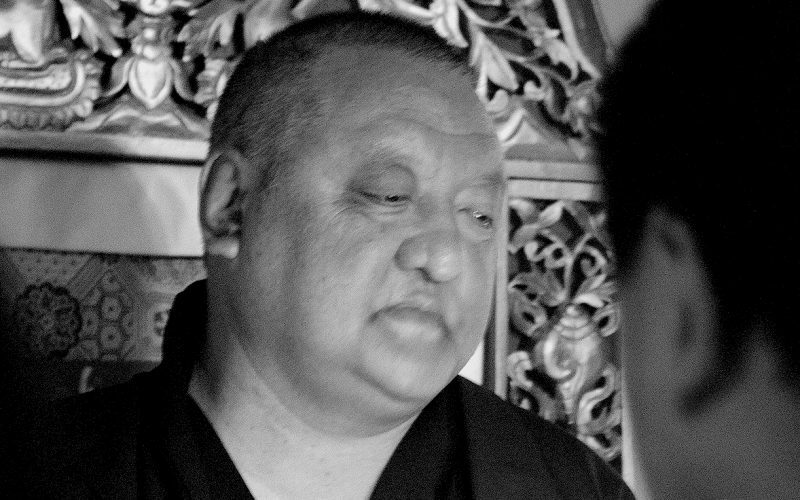 Shamar Rinpoche’s swift return. Since then, we have continued to pray for H.H. Shamar Rinpoche’s swift return and we have great hope and confidence in His Holiness the Seventeenth Karmapa, Trinley Thaye Dorje, who now has an even greater responsibility as the main upholder of the precious Karma Kagyu tradition. We will do our best to support His activities and the Karma Kagyu lineage. May Karmapa’s enlightened activities benefit all sentient beings, and may Shamar Rinpoche’s emanation swiftly return! Bilder från Shamar’s besök i Stockholm, oktober 2012.